The name Miele stands for innovation and high quality. More than 110 years of experience in producing premium quality products. They are market leaders in the field of instrument reprocessing in general practices, clinics, CSSD units and lab glassware applications. Miele now offers a washer-disinfector with integrated ‘Drying Plus’ hot-air drying on a mere 60 cm footprint. The new generation of machines allows comprehensive reprocessing consisting of thorough cleaning, safe disinfection and effective drying. 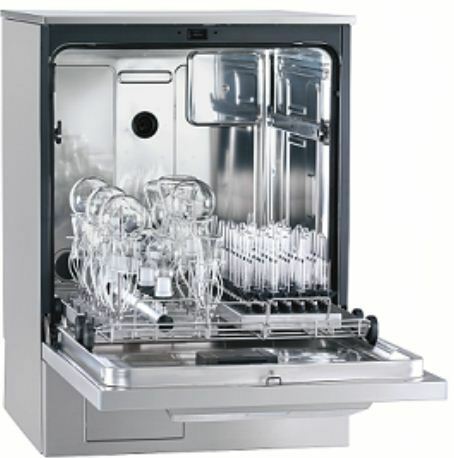 Mobile units with a drying connection facilitate both external and internal drying of lumened instruments and laboratory glassware. Complex instruments are dried reliably using hot air. An integrated S-class H12 HEPA filter guarantees that the air used for drying is perfectly clean. Access to the filter is simple as it is located behind a service access panel at the front of the machine, allowing the filter to be replaced simply and quickly. Our expertise is to provide Clients with complete Lab Solutions offering a one-stop-shop for sourcing, procuring & consolidation which helps save time, resource and finance.We specialize in sourcing quality lab products from top manufacturers for complete warranty assurance. This ensures safe, reliable products with Quality Standards and Certification. We offer direct dispatch from manufacturers premises or consolidation with our freight forwarding agents also in India and/or dispatch goods as per your instructions. We offer best-in-class after sales service across streams of engineering, viz. Mechanical, Electronics, Refrigeration & IT. To become a global leader and being best-in Class one stop laboratory solution supplier in the Life Science Industry. To become an integral part of the Scientific Industry by providing innovative solutions that enhances efficiencies and creates value for customers.